Finally caught Avatar at the cinema on Friday night. Booked the tickets a few weeks ago and wasn’t expecting much but it has become the biggest grossing film of all time so it must be good, no? Also, it would be my first 3D film and seeing as the local IMAX was showing it in 3D it made sense to view it their. Firstly, was the film any good? Well, yes it was. It was extremely predictable with no plot twist that I can remember. I won’t post any spoilers but I will say that despite knowing what was about to happen throughout the film I didn’t get bored and the time (a flabby 2hrs 40) passed pretty quickly. Performances are mostly good although the actual screen time for the real actors is pretty small. So it’s worth watching but what about the two talking points – the CG and the 3D. The CG is excellent and to the film’s credit almost every shot probably has some CG in it and at times you won’t notice it. Of course on the planet of Pandora it’s 100% CG and some of the locations are amazing. The tree’s, water and interaction between machines and the planet are superb. The motion capture and movement of the Na’vi (aliens!) is also well done but there’s also a niggle. Your watching CG, not an actor, despite the advances in technology. It meant that sometimes the movie felt a little cold. However the most interesting aspect was the 3D. This was my first 3D movie and at times the 3D worked really well and other times…it was absolutely rank. 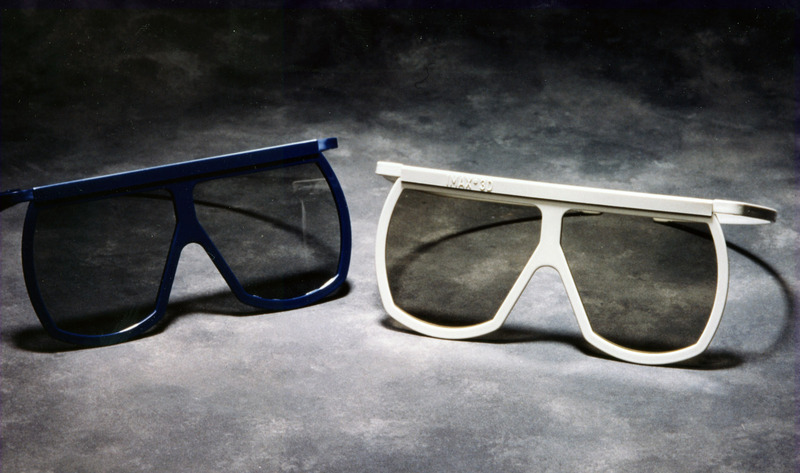 First issue – those glasses! At the IMAX the glasses were big and uncomfortable like the ones in the pic below. With a half hour to go they really started to irritate me. They were big enough so that I could wear my glasses underneath but it was a pretty uncomfortable experience. Second issue was the 3D itself. In Avatar some of the scenes were truly impressive – some of the control room scenes were really well done, the flowing water and some of the early mess/ship scenes stick in my mind. What didn’t work though was I think my eyes. Well, not just mine I suspect. As things were falsely thrown into the foreground you would naturally try and focus on them which is the wrong thing to do as you then lose focus on the film. At times it got pretty awkward, especially in scenes walking through the planet where plants and undergrowth were brought into the foreground. I also felt the colour and definition were lacking and also there was a dullness to some of the scenes. Might have been the focus issue I’ve already mentioned but some scenes just looked a bit poor. One good thing is I didn’t suffer any headaches or motion sickness but we did get a verbal warning before the film started that people may get motion sickness so it must happen quite often. So a good film with great CG, some good 3D and overall worth catching at the IMAX just due to the size and scale that the screen offers. One thing I won’t be rushing out and doing this year though is buying a 3D TV. I don’t want to wear another pair of glasses to watch TV or play games and the experience, at the moment, doesn’t match the expense. It’s not like moving from SD to HD. I’ll think about 3D at home when the technology doesn’t rely on glasses which will be a few years away yet. It’s been a while since I’ve blogged on my tech and latest purchases. Over Christmas I picked up a Drobo and a Mac Mini. Recently I’ve been running out of disk space so wanted something that will grow with time. I also wanted an easy way to watch my ever growing media library. The PS3 and 360 just weren’t cutting it when streaming from the iMac. I’d considered an Apple TV for a long time but this would just be another compromise. Closed format viewing isn’t for me and even though you can hack it to install Boxee, HD playback looked to be an issue. I thought about some cheaper options but in the end went for a Mac Mini. This gives me the choice I was looking for in a quiet neat unit. The only hardware it’s missing is Blu-Ray which I’ll use the PS3 for. Disk space was a more difficult choice. I considered a variety of NAS units but I kept coming back to the Drobo. I bought the normal Drobo with 2 x 1.5TB drives. It’s worked flawlessly hooked up to the Mini via firewire. My only doubt, and I hope it doesn’t come back to bite me, is that the disks are now in a proprietary format. If the Drobo dies I can’t use the disks in another device – it has to be a Drobo. Ouch. Despite the worries I’m really pleased with the new toys. If your interested in how I’ve setup the Mini and what software I’m using you’ll find more details in a series of blog posts at DigitalOutbox. I’ve been through the hardware setup and also the installation of Plex and Boxee. Future posts will look into running the Mini as a server, downloading media and remote access to the Mini and home media. Favourite at the moment is the Macbook Pro and monitor. Easier to manage, everything on the one machine and increased real estate. Makes most sense and is least costliest option. Then again, when did I ever follow that route?